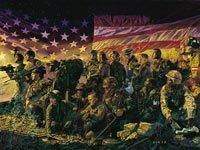 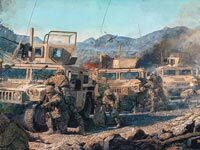 Fighting the Global War on Terrorism, the United States Army remains engaged in two major theaters of war in Afghanistan and Iraq. 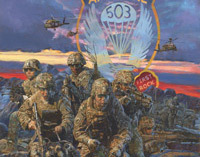 In February 2009, 1st Squadron, 40th Cavalry Regiment deployed to Afghanistan in support of Operation Enduring Freedom. 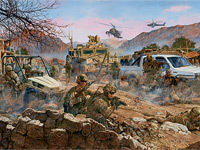 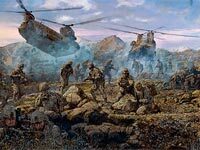 First Rock Paratroopers maneuver against Taliban and Foreign Fighters after they are engaged in a far ambush while moving through a dry river bed in Eastern Paktika province.